Solar wind flowing from this southern coronal hole should reach Earth on Nov. 2nd, possibly causing magnetic unrest around the poles. Credit: NASA/SDO. 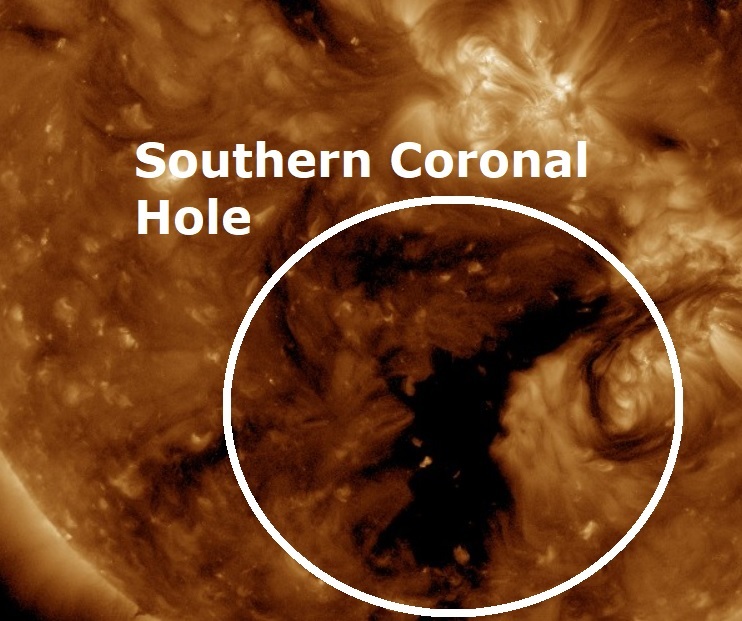 A large Coronal Hole has opened up on the southern part of the Sun's atmosphere facing Earth. The solar wind being ejected from the hole on the Sun should reach Earth some time on the 2nd of November. Polar auroras and magnetic unrest are likely when the gaseous material arrives and we could witness major quakes up to the arrival of the solar wind on the 2nd of Nov.
We should also warn our friends up there in the north, especially Bill Laughing-Bear, where solar storms are causing seizures and migraines in people and dogs, behaviour problems in children and enhanced medical problems for some people in Alaska. 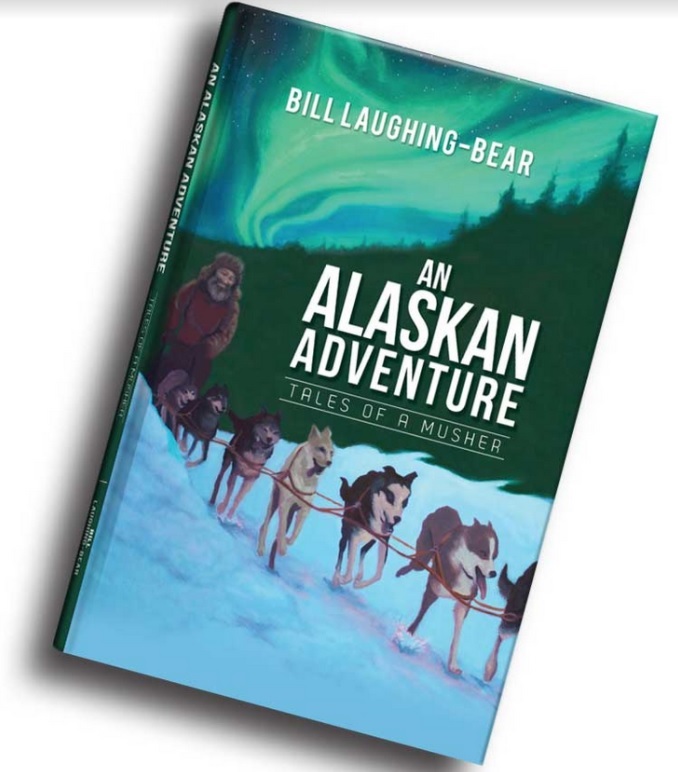 I frequently receive emails from a wonderfully brave man from Alaska, his name is Bill Laughing-Bear who suffers from Traumatic brain injury (TBI). Because of his injury, Bill can't use a computer because the screen causes him seizures or terrible migraines so his mother Tina types his work and thoughts for him. Bill heads a TBI peer support group called “The Deadheads” who have been monitoring and charting the cause and effect of solar wind and the geomagnetic storms that affect earth’s magnetic field. He gets reports from others who also have migraines and side affects, such as seizures, when these storms hit earth. They have also noted that dogs are having seizures at the same time people are. It would appear Bill, has found a link to people and animals who live further north, or closer to the polar regions are more sensitive to solar activity. Bill follows The Big Wobble for the frequent space weather updates and the research into coronal holes and their influence on our planet and Bill has come up with some remarkable updates, below is the latest email from Bill. I receive individual reports from people who are not in contact with one another nor do any of them monitor space weather, who give me almost identical reports concerning them or their sledge dogs. I am absolutely positive that the effect could not be a placebo (a measure designed merely to calm or please someone - according to www.dictionary.com). 1) More than one parent has contacted me about their children’s behaviour problems (children without brain injuries) during severe solar storms. They are normally well-behaved kids. It is constantly lining up with the solar storms or the phases of the moon. 2) Another person has contacted me regularly during these solar events letting me know that whatever type of rash he has all over his body, it flares up drastically, bringing major discomfort, and subsides significantly after these events. His body responds like clockwork to these solar storms just as the children show behaviour problems. 3) Some of our dogs are also having seizures as well as our “Deadheads” with TBI (Traumatic Brain Injury) having either seizures, cognitive function problems or at a minimum, migraines. 4) It also seems to me, although I can’t prove it yet, that I am seeing more activity with the wildlife, such as moose, during these solar events. The moose seem to be more active. We are finding that by monitoring your alerts, the solar events, and tracking the aurora forecast at http://www.gi.alaska.edu/AuroraForecast/Alaska, we are able to organize our daily activities around them because we know in advance what to expect. We can know ahead of time when it will not be wise to drive or make major decisions because we will be functioning with a limited capacity. It is the Deadheads belief that the gravitational fluctuations and solar storms are affecting the ionosphere which in turn affects the magnetite in our bodies and is a major part of their problem. (Article: Magnetite biomineralization in the human brain https://www.ncbi.nlm.nih.gov/pmc/articles/PMC49775/). Using a natural EM Meter which measures magnetic field changes as small as 0.5% of the earth’s magnetic field, confirms these events. We saw this with the recent solar eclipse. I am hoping to eventually get a specific type of Mac computer and screen that will work with my TBI and allow me to do more research for our brain injury group as well as monitor things more closely and timely. Being a disabled vet with a limited income, this may or may not become a reality. But in the meantime, I’m so grateful that I can - via Mom, my secretary - connect with you :o).